Kent has 350 miles of coast – the longest of any county, but marine wildlife is suffering, often because it is not as visible as wildlife on land. The Kent Wildlife Trust’s project, Guardians of the Deep, will create a network of volunteer Coastal Guardians keeping a watch over the coastline near where they live, turn swimming pools into undersea wonderlands and teach children how to snorkel, take school groups and youth groups to the beach and get them finding out about all the amazing wildlife that lives beneath our seas, and get people out and involved in all sorts of seashore surveys. The KWT need to raise £20,000 from this appeal to gain funding for the first year, out of a total of £82,000 for the entire three years – this will in turn release £450,000 of Heritage Lottery Funding. This means that for every £10 the public contributes, the project will receive another £53.90. However, there are only 6 days left to donate. 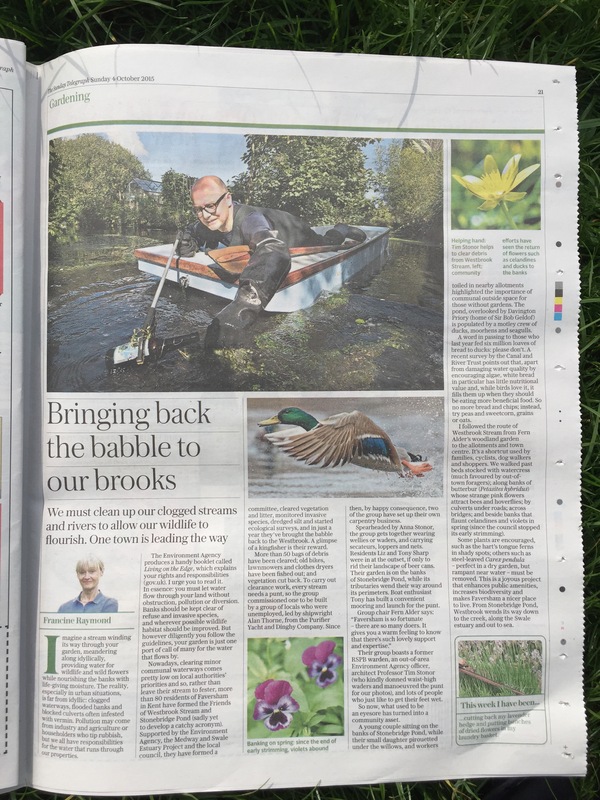 It’s wonderful to see our hard work rewarded with a lovely piece in today’s Sunday Telegraph. VOLUNTEERS clearing Faversham’s waters have removed a lawnmower, clothes dryer and carpets from the water. 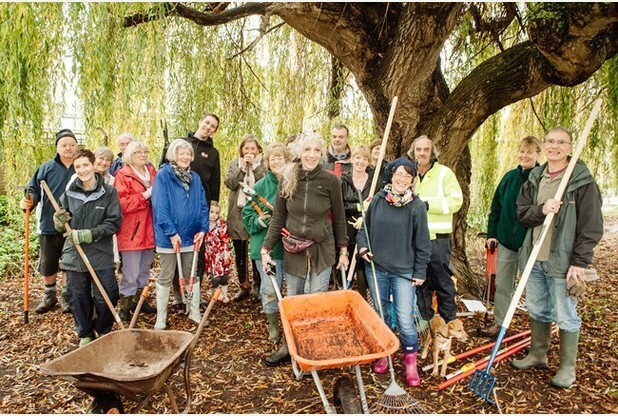 The Friends of Westbrook Stream began meeting last October to clear litter in the stream and Stonebridge Pond. 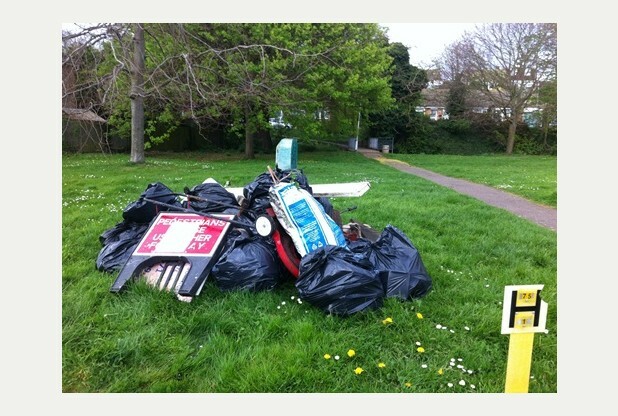 Other items collected on their last clean-up on April 6 included suitcases, crates and 40 bags of rubbish. Contractors from Swale Borough Council (SBC) collected everything the group recovered. 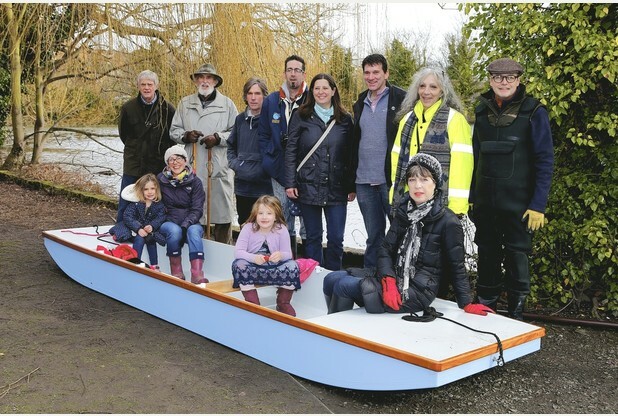 They have now received funding from local councillors to continue with larger projects.